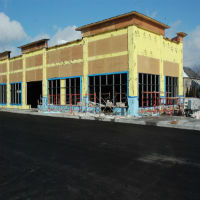 Our Construction Project Management and Tenant Coordination teams worked with Ros-Bay Developments on this retail plaza anchored by FreshCo, Rexal Drugs and Tim Horton’s in Barhaven Ontario. Construction continued apace throughout the winter with completion expected in the spring of 2017. CT Real Estate Investment Trust (CT REIT), is a closed end real estate trust formed to own income producing commercial properties primarily located in Canada. 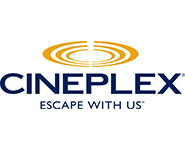 Its portfolio is comprised of over 300 properties totaling 22.9 million square feet of GLA, consisting primarily of retail properties across Canada. Sienna Senior Living is dedicated to helping seniors live fully, every day. With over 9000 team members committed to ensuring comfort, promoting independence, nurturing interests, and keeping seniors healthy and safe. Sienna shares their hospitality with more than 1,000 residents in 54 retirement residences across Ontario and British Columbia. 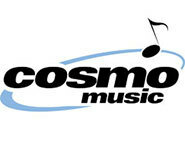 Cosmo Music is an industry leader in the provision of music, from the sale of virtually any kind of instrument, to instrument lease & rental programs, to providing music lessons. As their outsourced real estate & construction departments, True North provided real estate and project management services to create a new 54,000 sf large format retail store in Richmond Hill. Our mandate included identifying the new site, completing the land transfer transaction & managing the design/build program. We oversaw the construction process, including schedule and budget. 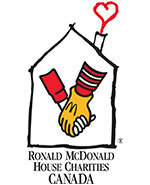 We have also assisted with arranging project financing and disposing of redundant properties. 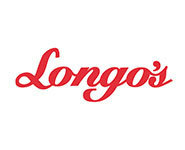 True North assumed the role of project manager to deploy Longo’s first urban small format store in Toronto. During pre-construction, we assembled the development design team, oversaw drawing production, compiled tender packages and then selected the appropriate contractor through a tender process. During construction stage, True North managed the construction administration program, all site reviews and payment certifications, culminating with commissioning and turnover once occupancy was secured for opening. As project manager, True North prepared tender documents, administered the tender process, oversaw the preparation of construction documentation, executed contract administration, including inspections, reports, & invoice reviews. This project opened on time and on budget. First Capital Realty Inc is Canada’s leading owner, developer and operator of supermarket-anchored neighbourhood and community shopping centres. True North managed three projects on their behalf. Morningside Crossings, which boasts 164,000 square feet of retail space, the renovation/restoration of the 73,000 square feet Barrymore Building at King Liberty Village, and Shoppes on Dundas in Oakville, with 67,000 square feet of retail. In addition, all three projects are LEED registered, as per FCR’s commitment to sustainable design and construction. Gateway Centers, a Markham based retail plaza developer, retained True North to provide project management and tenant coordination services for their Laurelwood Commons project in Waterloo Ontario. Situated on a 7 acre site, the project is anchored by a Food Basics and Shoppers Drug Mart, with an additional 50,000 square feet of CRU space.